"It's with some sadness and great relief to tell you that I quit Oasis tonight. People will write and say what they like, but I simply could not go on working with Liam a day longer. Apologies to all the people who bought tickets for the shows in Paris, Konstanz and Milan." "Dearly beloved, it is with a heavy heart and a sad face that I say this to you this morning. 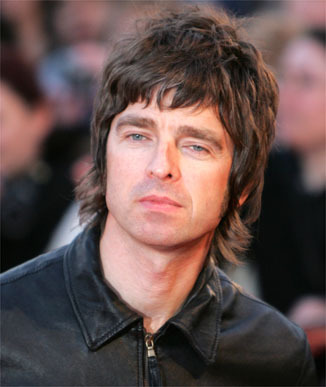 As of last Friday the 28th August, I have been forced to leave the Manchester rock'n'roll pop group Oasis. The details are not important and of too great a number to list. But I feel you have the right to know that the level of verbal and violent intimidation towards me, my family, friends and comrades has become intolerable. And the lack of support and understanding from my management and band mates has left me with no other option than to get me cape and seek pastures new. I would like firstly to offer my apologies to them kids in Paris who'd paid money and waited all day to see us only to be let down AGAIN by the band. Apologies are probably not enough, I know, but I'm afraid it's all I've got. While I'm on the subject, I'd like to say to the good people of V Festival that experienced the same thing. Again, I can only apologise - although I don't know why, it was nothing to do with me. I was match fit and ready to be brilliant. Alas, other people in the group weren't up to it. In closing I would like to thank all the Oasis fans, all over the world. The last 18 years have been truly, truly amazing (and I hate that word, but today is the one time I'll deem it appropriate). A dream come true. I take with me glorious memories. Now, if you'll excuse me I have a family and a football team to indulge.